Placon gravity roller conveyors are effective for difficult material handling challenges because their superior construction and wide plastic wheels accommodate a broad range of applications while being noticeable quiet. 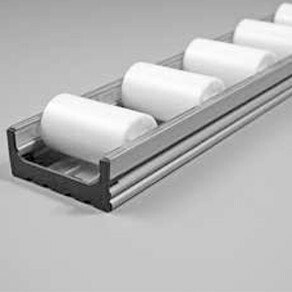 Placon 3” wide rollers provide the extra support necessary to ensure smooth box transfer such as totes with soft bottoms and open cell designs or for conveying odd shaped and sized parts without packaging. 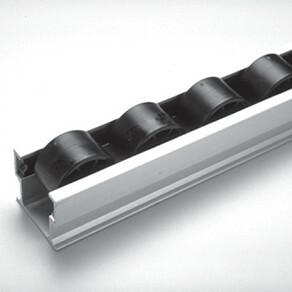 The Placon system is supported by a wide selection of roller styles, mounts, frames, components and guide rails. Precision rollers spin freely and smoothly on polished stainless steel axles and require less flow lane angle than conventional skatewheel conveyors which will also result in using less vertical space. Placon conveyors can be combined with Creform stationary or mobile flow racks, built with 28mm, 32mm and 42mm pipe, enhancing the efficiency and ergonomics of parts presentation in a manufacturing workstation or in cell and warehousing operations.